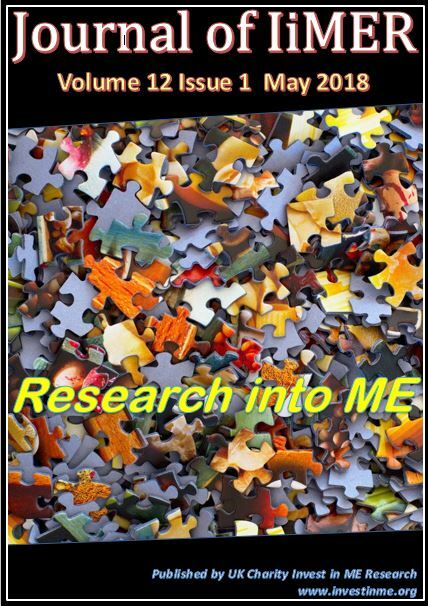 ﻿ Invest in ME Research - Defending the Indefensible? Professor Simon Wessely once again attempts to defend what has already been shown to be indefensible, namely his own beliefs about the nature of ME/CFS, including his belief that graded exercise therapy (GET) has “an impeccable safety record” (Simon Wessely; Health in mind and body; The Journal of the Foundation for Science and Technology: 2011:20:7: 9 –11). The article contains so many insupportable assertions that it cannot go unchallenged. In his article, although he does not mention ME as such, Wessely refers to Chronic Fatigue Syndrome (CFS), but in countless articles published in medical journals, reports from official bodies such as the Joint Royal Colleges, in medical textbooks and in the media, as well as in the PACE Trial literature itself, the Wessely School insist that ME and CFS are synonymous. In this latest article (the publishing of which is perhaps surprising, given his frequent assertions that he has relinquished his work on ME/CFS and that he no longer feels safe publishing about the disorder because of the death threats he has received, and that he now feels safer in Afghanistan), Wessely conforms to his track record of appearing to form his conclusions before he has generated the data to support his conclusions - (he often states his assumptions and beliefs as though they are established fact; for example, he has asserted that people with ME benefit from “adopting the sick role” and from “secondary gain”, and that what “precipitates” ME is not what “perpetuates” it, all of which are supposition not supported by data; a further illustration is to be seen in his study of Vitamin B status in just 12 CFS patients in which he found evidence of reduced functional vitamin B status but concluded: “clearly, many patients with CFS are currently taking vitamin B…with little evidence of benefit”, yet nowhere does he provide any evidence that “many” patients are taking supplements with little evidence of benefit and his final conclusion again fails to follow from his data: JRSM 1999:92:183-185). “CFS illustrates the gap that lies between physical health/illness on the one hand and mental health/illness on the other”: all life-destroying diseases affect both physical and mental health, not just ME/CFS. “CFS is a multi-factorial illness”: Wessely does not know this, since the cause remains unknown. “To understand why some people do not get better as the months and years go by, one has to look at behavioural and psychological factors”: this is nothing more than Wessely’s assumption; people do not recover from multiple sclerosis or from motor neurone disease, so it is telling that he makes an exception only in the case of one particular classified neurological disorder (ME/CFS): why do so, unless it is as a face-saving measure because for the last 25 years the Wessely School have rigidly and unscientifically conflated psychiatric fatigue with ME/CFS? “The illness is then a complicated mixture of predisposition, precipitation, and perpetuation”: Wessely states this as though it were proven fact, but it is unproven and his inability to recognise this demonstrates a fundamental misunderstanding of the nature of scientific knowledge. “A landmark trial on the management of CFS, known as the PACE Trial, was published recently in The Lancet….Two treatments, graded exercise and CBT, clearly made a difference, although they were certainly not ‘magic bullets’: not only were the interventions used in the PACE Trial very far from being magic bullets, the Chief Principal Investigator himself described them as being “only moderately effective”. “For those who appreciate these things, the trial is a thing of beauty”: for those who appreciate these things, the PACE Trial -- which cost £5 million -- has been described as a travesty of science and a tragedy for patients; the conclusions were flawed; the primary outcome measures were dropped; ratings that would qualify a participant as sufficiently impaired to enter the trial were deemed by the Principal Investigators (PIs) to be “within the normal range” when recorded on completion of the trial; there were significant conflicts of interest in that all three PIs work for the insurance industry (whose managers insist that claimants undertake a course of CBT and GET -- called “rehabilitation” -- which, if people are too ill to do so or if they know from their own experience that it makes worse and therefore decline, payments are stopped on the basis that claimants do not to want to get better); the PIs intentionally studied a heterogeneous population and it was conceded only after publication of the results in The Lancet that the Investigators did not purport to be studying ME; there was a failure to control the trial; there was downgrading of what constituted serious adverse events; there were many changes to the entry criteria; data was not reported and objective outcome measures were dropped; methods of scoring were changed so as to produce minimally better results, and the results were blatantly misreported in The Lancet (see http://www.meactionuk.org.uk/COMPLAINT-to-Lancet-re-PACE.htm and see also http://www.investinme.org/Article425%20Hooper%20Further%20Concerns%20on%20PACE%20Trial%20article%20published%20in%20Lancet.htm). “We now have two treatments that we can recommend with confidence to our patients. However, the story does not quite end there. Patient groups rejected the trial out of hand, and the internet was abuzz with abuse and allegations. The main reason for this depressing reaction was the stigma that attaches to disorders perceived (rightly or wrongly) to be psychiatric in origin”: the reason people with ME/CFS reject CBT and GET is because they do not work, but Wessely refuses to accept this, so he here provides an explanation already shown by his own research to be incorrect. (Personality and Social Attitudes in Chronic Fatigue Syndrome. Barbara Wood and Simon Wessely; J Psychsom Res 1999:47:4:385-397). “If one obtained identical results to the PACE trial, but this time with anti-viral drugs, the reaction would have been totally different. This is exactly what did happen when a very small trial of a drug that modulates the immune system (and which has some nasty side effects) was greeted with acclaim from the same sources that tried to discredit the PACE trial, which tested interventions with an impeccable safety record”: GET for people with ME does not have an impeccable safety record. Indeed, there is abundant evidence from numerous surveys by ME/CFS charities of almost 5,000 patients that in such patients CBT is ineffective and that GET is unacceptable and sometimes positively harmful. Another survey of 2,338 ME/CFS sufferers (“Severely Neglected: M.E. in the UK”) was carried out in 2001 by Action for ME; its preliminary report stated: “Graded exercise was reported to be the treatment that had made most people worse”; in the final report, this was changed to stating that graded exercise had made 50% of patients worse (http://www.afme.org.uk/res/img/resources/Severely%20Neglected.pdf). The 25% ME Group for the Severely Affected carried out a further survey in 2004 which found that 93% of respondents found GET to be unhelpful, with 82% reporting that their condition was made worse (http://www.25megroup.org/Group%20Leaflets/Group%20reports/March%202004%20Severe%20ME%20Analysis%20Report.doc). In 2005, a report (“Our Needs, Our Lives”) published by The Young ME Sufferers Trust found that 88% had been made worse by exercise (http://www.tymestrust.org/pdfs/ourneedsourlives.pdf). In June 2007, through Section 16b funding from the Scottish Government, Action for ME produced a report “Scotland ME/CFS Scoping Exercise Report”, which found that 74.42% were made worse by GET. In 2008, Action for ME published another survey of over 2,760 patients (“M.E. 2008: What progress?”) which found that one third had been made worse by GET and that at their worst, 88% were bed/housebound, being unable to shower, bathe or wash themselves, and that 15% were unable to eat unaided. The Press Release of 12th May was unambiguous: “Survey finds recommended treatment makes one in three people worse” (http://www.afme.org.uk/news.asp?newsid=355). 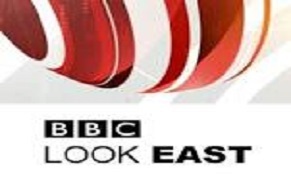 In 2009, the Norfolk and Suffolk ME Patient Survey of 225 respondents stated: “Respondents found the least helpful and most harmful interventions were Graded Exercise Therapy and Cognitive Behavioural Therapy” (http://www.norfolkandsuffolk.me.uk/surveylink.html ). 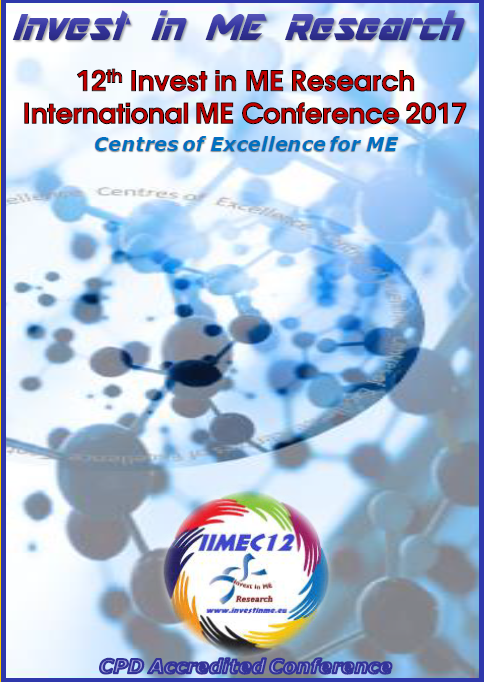 The International Association of CFS/ME recently published an article by Tom Kindlon (Bulletin of the IACFS/ME: 2011:19(2):59-111: Reporting Harms Associated with Graded Exercise Therapy and Cognitive Behavioural Therapy in Myalgic Encephalomyelitis/Chronic Fatigue Syndrome) that details the high rates of adverse reactions to exercise, as well as dissecting the PACE Trial in relation to the heterogeneity of subjects, the tracking of adverse events and the lack of objective outcome measures. “You refer to ‘Frenchay Hospital’s specialist chronic fatigue, or ME clinic’, but ME is an incurable neurological condition and cannot be synonymous with chronic fatigue. Chronic fatigue syndrome is treated by psychiatrists with graded exercise therapy, but if exercise makes (it) better, then that condition is not ME….But many patients with ME are also sent to chronic fatigue centres and receive the same treatment: they are then, shockingly, made more ill” (http://www.thisisbristol.co.uk/chronic-fatigue-syndrome/story-14243686-detail/story.html ). There is thus an abundance of empirical evidence that GET can result in high rates of adverse effects. Why is it that the Wessely School, who claim to be so committed to evidence-based medicine (EBM), are permitted to continue to disregard the evidence that proves them to be wrong about the nature of ME and about the efficacy of GET in those suffering from it? The answer may be because, like so many of the Wessely School myths, EBM does not actually exist. (Zombie science of Evidence-Based Medicine. “It is obvious that EBM was from its very inception a Zombie science…. A Zombie science does not perform any scientific function, so it is invulnerable to scientific critique since it is sustained purely by the continuous pumping of funds…. The massive success of EBM is that it has rationalised the takeover of UK clinical medicine by politicians and managers…. Zombie science is not driven by the scientific search for truth (and it is) kept moving for so long as it serves the purpose of its funders….EBM embraced a top-down and coercive power structure to impose EBM-defined ‘best evidence’ on clinical practice, whether clinical scientists or doctors agreed that the evidence was best or not…. Expertise was arbitrarily redefined (and) virtue redefined as submission to EBM recommendations, so the job of physician was at a stroke transformed into one based upon absolute obedience to the instructions of EBM-utilising managers. Indeed, since too many UK doctors were found to be disobedient to their managers, in the NHS this has led to a progressive long-term strategy of the replacing doctors by more-controllable nurses, who are now the first contact for patients in many primary and specialist health service situations…. EBM was not a real science, indeed, it wasn’t any kind of science at all (and) it was not adopted by scientists but by politicians, government officials, managers, and biostatisticians…. When the UK government understood that what was being proposed was a perfect rationale for re-moulding medicine into exactly the shape they had always wanted it, the NHS hierarchy were falling over each other in their haste to establish this new orthodoxy in management, medical education and in founding new government institutions such as NICE…. Suddenly, the Zombie science of EBM was everywhere in the UK…unhampered by inconveniences such as truthfulness or integrity…it was being practised by many individuals…who lacked…any training and experience in clinical medicine and who certainly did not provide direct patient care…. Here was a doctrine which advocated rejecting and replacing with itself the whole model of medical science and practice of the past. It advocated a new model of health service provision, new principles for research funding, a new basis for medical education. And the evidence for this? Well, none. Not one particle. ‘Evidence-based’ medicine was based on zero evidence (but it) was proclaimed Messiah with the backing of serious amounts of UK state funding…to create a fairly-realsitic Zombie of pseudo-science…. EBM, however, has proved invaluable to the Wessely School in the perpetuation of their own myths about and management of ME/CFS, to the advantage of both the state and the insurance industry. Despite the relentless determination of the Wessely School to claim ME/CFS as a functional somatoform disorder (in his latest article, Wessely reiterates his claim that: “the greater the number of symptoms, the more likely the patient was to develop a mood or anxiety disorder”), medical science is at last ensuring that the Wessely era is coming to an end. Whilst XMRV is now thought to be a laboratory contaminant (and the triumphant glee of those who rejoiced at this is to be greatly deplored), the role of a retrovirus has not yet been resolved: indeed, Dr Ian Lipkin of Columbia University and chief virus-hunter for the NIH was reported on the Wall Street Journal blog on 27th December 2011 by Amy Dockser Marcus to have said that all the scientists and doctors involved in the NIH study, including the authors of the retracted PNAS and Science papers, “are committed to completing this study because none of us believes that the issue of retroviral infection in CFS/ME is resolved”. Retrovirology apart, there is now undeniable evidence of multi-system damage in ME/CFS, including inflammation of the blood vessels, hypoperfusion of the brain, delayed recovery of muscles after exercise, dysfunction of the immune and neuroendocrine systems, and evidence of marked abnormalities in gene expression profiling. Professor Nancy Klimas is to head a new Institute for Neuroimmune Medicine (specifically ME/CFS) at Nova Southeastern University: she will be providing cutting edge research and education of health care professionals, combined with care of patients; she will focus on systems biology, connecting neuro-imaging experts with scientists researching inflammation and genomics/proteomics, as well as collaborating with experts in neurotoxicology. There is also the work of Dr Jose Montoya’s Chronic Illness Initiative at Stanford; the husband and wife team of Drs Light at the University of Utah; Dr Derek Enlander’s Chronic Fatigue Initiative with a very large budget for research at Mount Sinai, as well as the Public Health and Neuroimmunology Unit (PHANU) at Bond University in Australia (http://forums.phoenixrising.me/content.php?519), plus the committed work of Professors Mark VanNess and Christopher Snell at the University of the Pacific, all of which disprove the beliefs of the Wessely School that ME/CFS is a behavioural disorder. Furthermore, the UK Medical Research Council has finally recognised the need for biomedical research into ME/CFS and is funding £1.6 million for research into aspects including autonomic dysfunction, aberrant mitochrondrial and cytokine production in skeletal muscles, and immune system dysfunction. (The Observer, 14th November 1993), but who paid any attention? Father Cormac Rigby did: “The greatest enemies of truth are those who think they have a monopoly of truth” (The Lord be with you; Family Publications, Oxford, 2004). Click here for more references to the PACE Trials on this site.